Art history is filled with images of HUMANS that have changed our lives and changed our minds. Painting, sculpture, works on paper and now photography have engaged us in our own reflection. Photography, the most accessible medium, shows us our humanity through traditional portraiture, street photography, families, events and maybe even selfies. This is not about equipment, it is about ideas and vision. We consider our various manifestations as we see through the lens of others. Annie Leibovitz, Richard Avedon, Henri Cartier Bresson, Vivian Meier – all have a unique vision of who we are. HUMANS is a call for entry for YOUR vision of who we are. Images must have people in them photographed alone, as couples or in groups. Images can be spontaneous or structured, in the street, at sporting events or celebrations. This call for entry is about how you see yourself and/or the people around you. Captured traditionally or by alternative process, cell phone or film, the possibilities are endless. 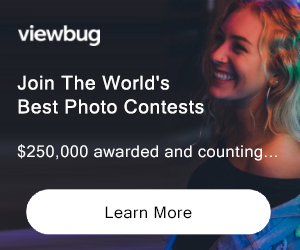 $200 3 Third Prize Not eligible to enter? - Find contest where you are. COPYRIGHT: All entrants to NYC4PA Open Calls for Entry, by virtue of their submission, are attesting that the images submitted are their own work and there has been no copyright infringement. NYC4PA will not be held liable for any infringement of rights that might surface during the jurying or displaying of any image. USAGE RIGHTS: By submitting you grant NYC4PA the right to use your image(s) for promotion and advertisement of NYC4PA.